You know when you’re in the jungle when…..
Man Tried To Open Aircraft Door At 35,000 Feet! 7 of the most ridiculous reasons to call in sick when you’re really abroad. I have recently returned from a trip in Vietnam where I flew into Ho Chi Minh City (Saigon) in the south and travelled purely by train / overland to Hanoi in the North for my return flight. Most people do choose to fly some sectors internally as the country is so vast, but we chose to travel purely overland by train / bus. Prior to my departure, my partner and I really struggled to find any accurate, current information on the internet regarding train travel in Vietnam, prices, schedules etc. So…. I have decided to gather all the information I can so as that any future travellers can hopefully find this blog very useful in planning their own adventure. 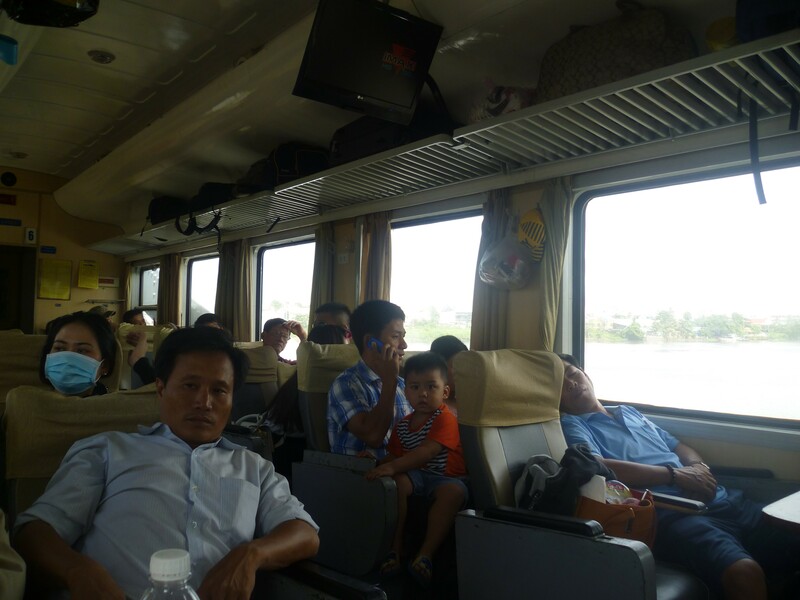 The first thing to bear in mind is that train travel in Vietnam, despite how daunting it appears, is very simple and very safe. They run by diesel so you may need to cross over the tracks, but unlike India this is carried out in a civilized manner without huge platforms to jump to. The best thing to do is plan in advance the trains you would like to take (there is a current timetable below for your reference) maybe pick a couple of train time options for each date / route just incase the preferred choice is unavailable. Plan a few hours one day at the start of your trip to venture to one of the bigger train stations such as Saigon, Hanoi, Nha Trang, Danang etc, to book all of your tickets in one go. Do not go to one of the smaller stations as they will not understand you and from my experience, not be very helpful. You must take your passport with you to book the tickets, or at the very least a copy. There are four ‘classes’ or cabins to pick from:- hard seat, soft seat, hard sleeper and soft sleeper. I only travelled in soft seat and soft sleeper so am unable to comment on the others, although I did see the hard seat cabin and it looked pretty uncomfortable. The soft seat was more than suitable for our 4 hour train journey. 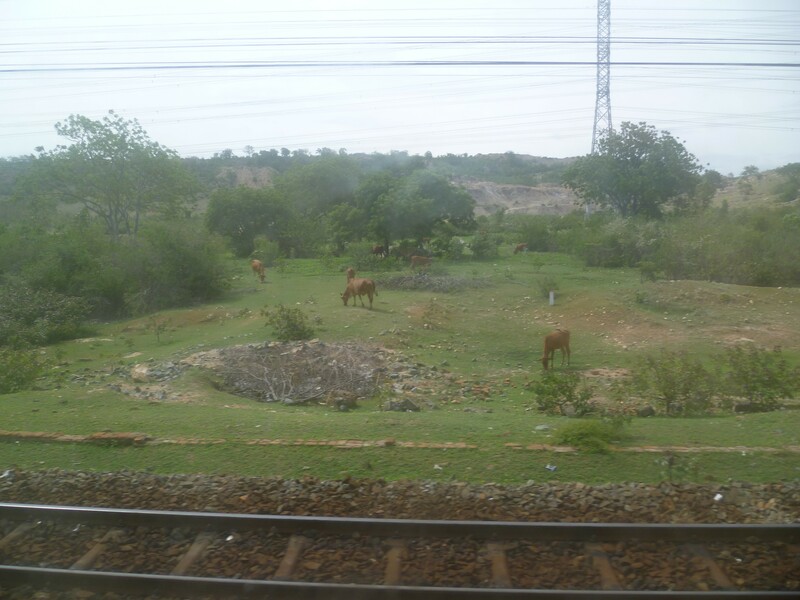 For the longer journeys, we opted for soft sleeper which was not much more money. The best bit of advice I can give you about train travel in Vietnam, is do NOT book your train tickets with a travel agent, or a website prior to departure. You will end up paying up to 5 x greater than the value of the train ticket. 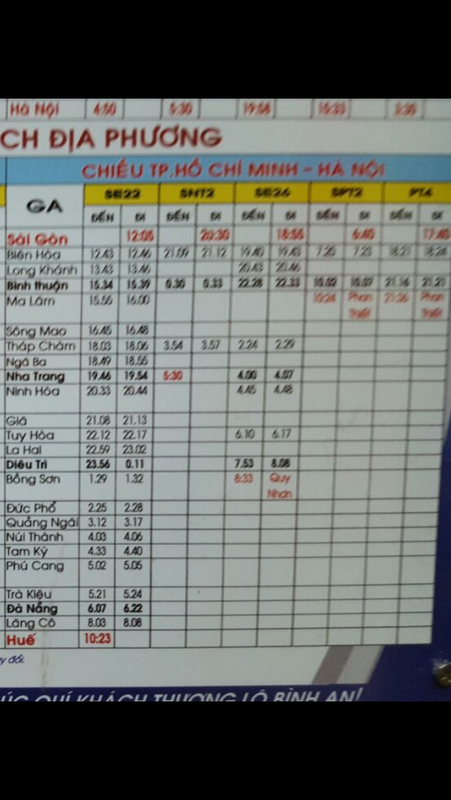 You are miles better off booking them yourself at a larger train station in Vietnam when you are there. There may be a bit of hassle with language barriers but it helps if you write down the dates and train numbers / time that you want when you get to the desk. The train stations are quite large and have a big waiting area. When you arrive in the station, locate a small, unsigned white box that dispenses tickets. The number shown on there is the one you need to watch out on the screen and you approach the allocated desk when your number is called. In busier stations such as Saigon, the waiting time can be around an hour. If you linger near the desks with your ticket visible, they may call you forward sooner. Once you have finally got your tickets, please make sure that the passenger and passport details are correct. Also, try to make sure you have definitely booked the correct trains; we made two mistakes on our tickets, one with the date of travel and the other with cabin of travel. If this happens to you, don’t worry as you can amend your tickets at any of the big stations for 10,000 VND which is around 50 cents, plus any difference in fare. Just remember to take your original passports to make any changes to your ticket. Your tickets will be allocated a seat number. There is basically one single train track that runs from Saigon to Hanoi that only multiplies at train stations to allow for passing trains. As a result, this does mean that trains are generally VERY reliable. It does mean however that if your train is delayed, you will be VERY delayed as it stacks to bottom priority in waiting for other, ‘on time’ trains to pass by. There are 5 trains running the track each day from north to south and south to north. 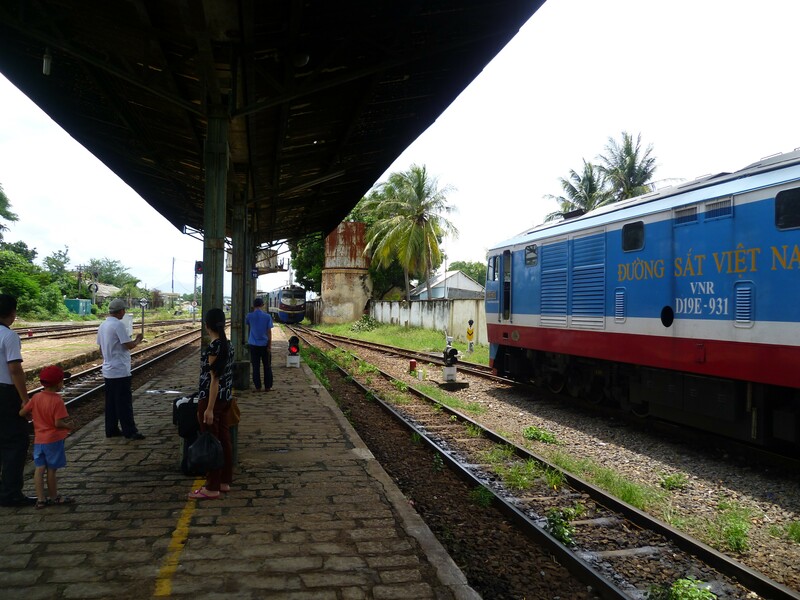 There are also some other smaller train lines that run in and out of Hue and others that operate East to West from some of the smaller stations. 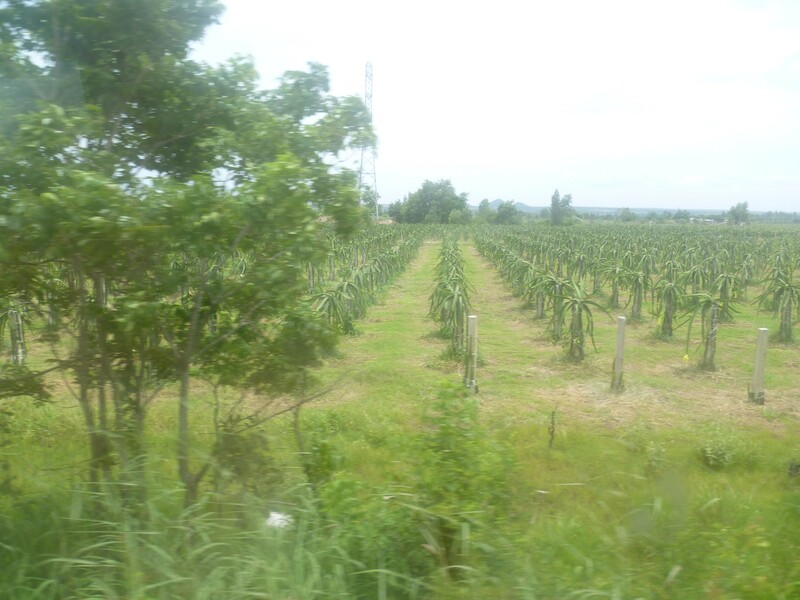 I noted before I departed that there was a lot of discrepancy online regarding how to travel from Saigon to Phan Thiet. 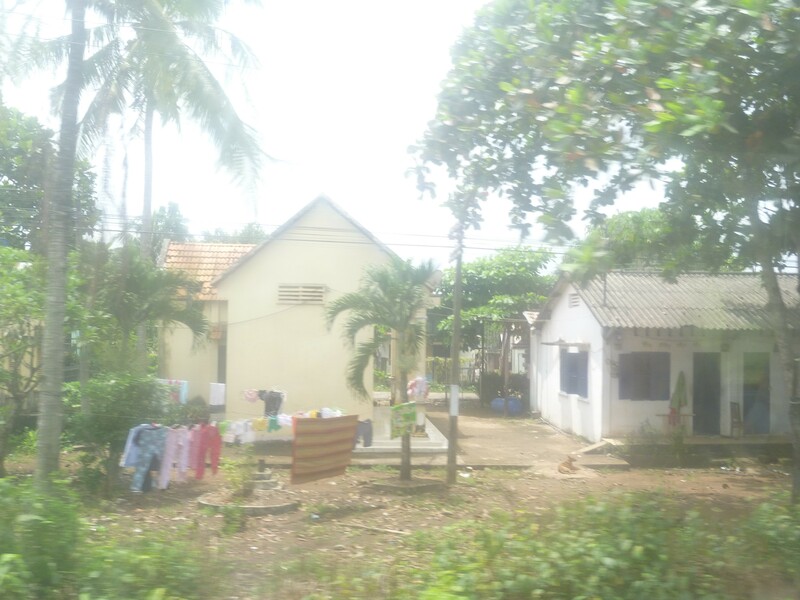 There is a train station in Phan Thiet but this is not part of the mainline from Saigon. 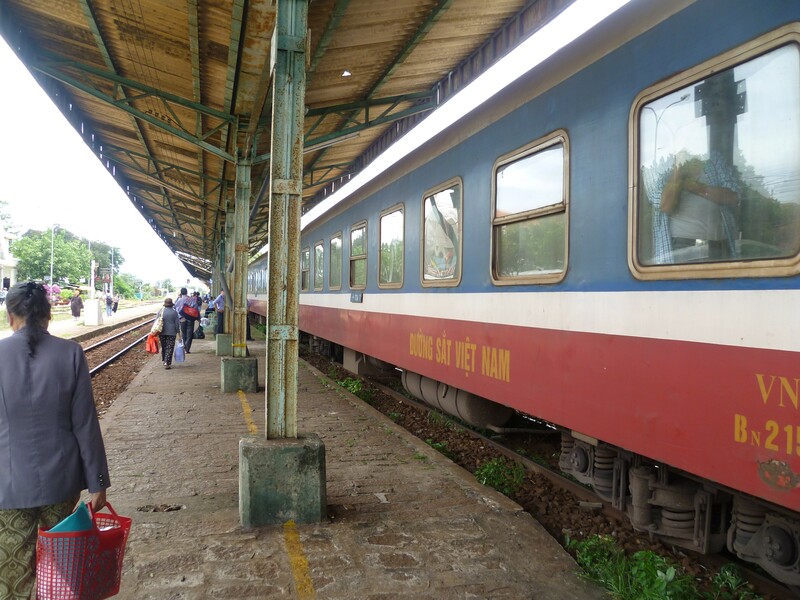 The main line train stops at Binh Thanh station which is approximately 25km away from Phan Thiet (depending on exactly where you are going) and a taxi costs around 15 dollars. This is what we did and found to be very simple. 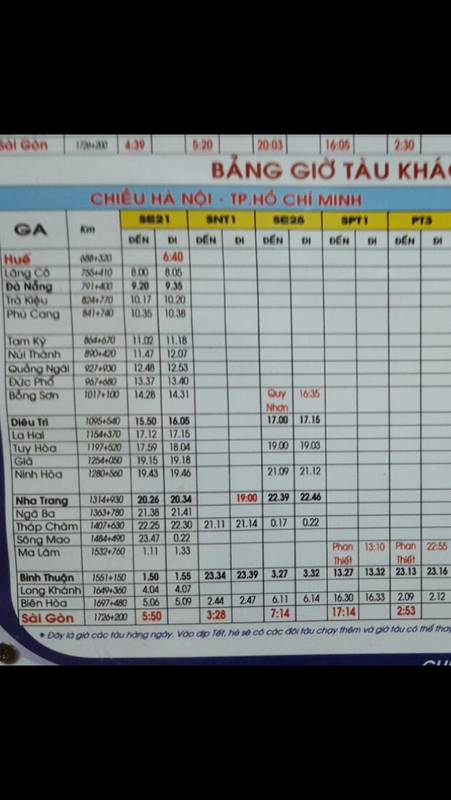 There are two trains daily that connect with the mainline train from Binh Thuan to run to Phan Thiet station itself, if you prefer a cheaper option. We did not choose this because the times were not great and felt that the taxi would be quicker and easier for us. 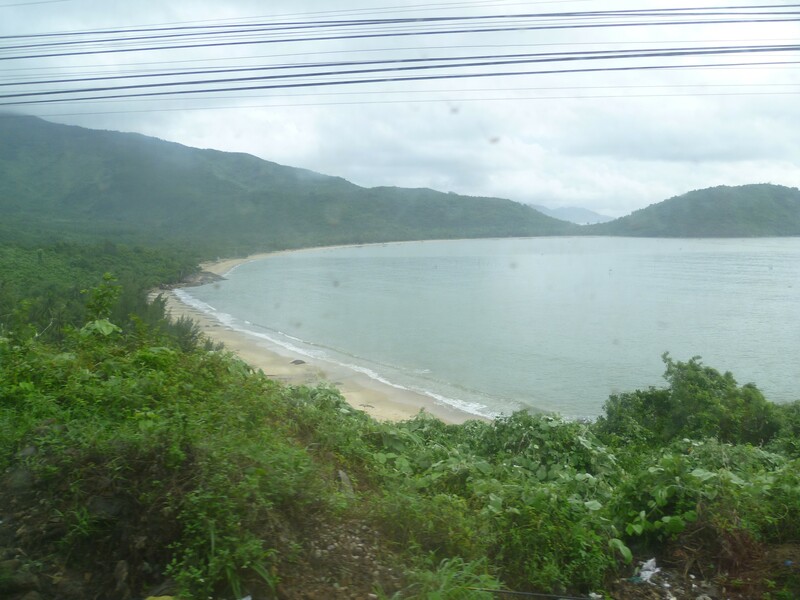 The train journeys are long; the longest one we experience was 16 hours from Nha Trang to Hue. I recommend doing these overnight in the soft sleeper cabin as it is quieter and you do get the chance to sleep as well as many daylight hours to appreciate the scenery. The staff do bring around food so if you are in the soft sleeper cabins, keep your ears and eyes peeled. The soft sleeper cabins are split into rooms of two bunk beds. I woke one morning to a lady climbing down from the bed above mine. I casually asked my partner where he thought she was going. His reply was “Maybe she went to find out which motherf***er brought a rooster on the train? !” This made me giggle for days. Be warned, chickens, cats, dogs…. they are all considered acceptable luggage on a train in Vietnam. The trains can be noisy during the day, people do also smoke outside your door although they are supposed to stand by the window between carriages. The announcements in the south of Vietnam are mostly just in Vietnamese, but the further north we travelled, the more I noted English translation was used. The soft sleeper rooms have air conditioning, a powerpoint, a table and a bin. Each carriage has a western and an asian ‘squat’ toilet. I seriously recommend wearing trainers or some form of sustainable footwear other than flip flops unless you want ‘wet’ feet! Also, taking alcohol hand gel wouldn’t go a miss. Once you are allocated a seat number, you must sit in that seat. Remember, Vietnam is still a communist country, if someone else is booked in the seat you are now sitting in, they will kick you out even if you are snoring. To briefly touch on taxis in Vietnam, I recommend using the ‘green’ taxis. These are everywhere all over the country and are the most reputable company over there. It helps to say when you get in “meter”. If they turn the meter on then the national guidelines currently are 12,000 VND per kilometer which is just over 50 cents, so it is fairly reasonable. If it is a longer journey i.e over an hour, you may need to agree a price before you travel. 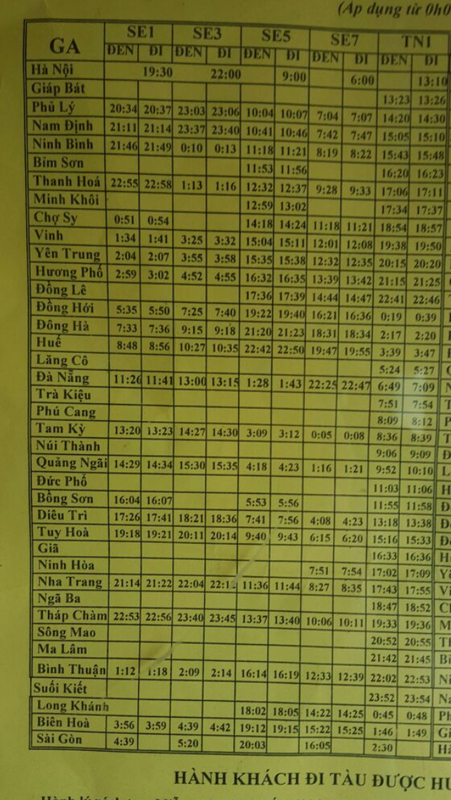 Hue to Ninh Binh – 12 hours – soft sleeper – 22 dollars. Please note, if travelling in the North of Vietnam, you MUST book your tickets in advance as they are usually fully booked before the day of travel. If necessary, book them online using a reputable company. Even if you have to pay a bit more. After Ninh Binh we travelled straight to Halong Bay. We did not want to get the train straight to Hanoi and a bus from there as it would take up too much time for us (this is an option if you have the time, Ninh Binh is a two hour train ride from Hanoi) so we paid 90 dollars for a private car to Halong Bay which took around 4 hours. Our cruise company provided a free shuttle bus to Hanoi at the end of our cruise. 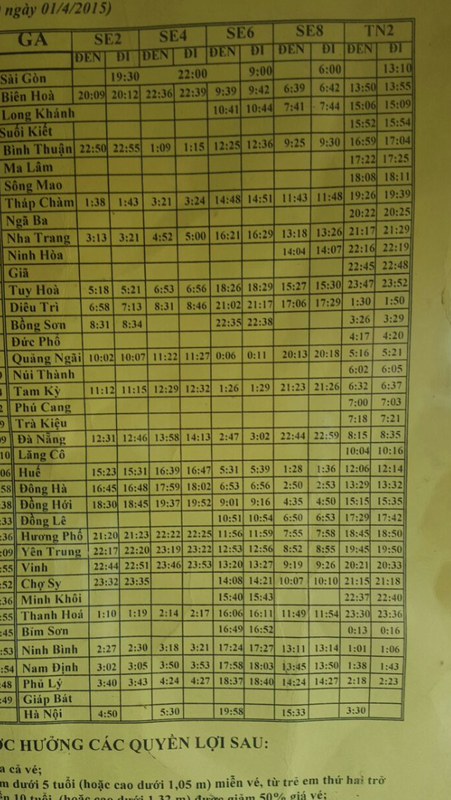 There you have it, train travel in Vietnam, simples!